Should we follow France’s lead and carry breathalyser kits in our cars? Be sure to have a breathalyser kit in your vehicle — whether you’re getting about in a four-wheeled vehicle or a motorcycle — if you’re taking a road trip in France. The devices are there so that motorists can check whether or not they are exceeding the drink-drive limit. There are several penalties in place if a motorist is caught drink-driving in the UK. A guilty party can expect a hefty fine, a ban from driving, and possibly even imprisonment. It certainly makes a lot of sense for this road law to be introduced in the UK. This is because the Department for Transport reported that around 9,040 people were injured or killed on roads across Britain in 2016 after being involved in incidents where a driver was found to be over the alcohol limit to be behind the wheel. Could the number of morning-after drink-drivers also be reduced as a result of breathalyser kits being placed in every vehicle? This is an important consideration after a survey commissioned by the AA involving close to 20,000 motorists suggested that one in five motorists had driven the morning after drinking during the previous day — despite the drivers being aware they may still be over the drink-drive limit. In a comment made to the BBC, AA’s President Edmund King pointed out: “I think people have kind of got the message when they go out in the evening, so they’ll book a taxi or they’ll have a designated driver and they’ll be responsible. But once they get home, they go to bed, they have some sleep, and then they kind of think well I’m OK, it’s the next day. Should we follow Italy’s lead and make it compulsory to drive on the snow only with snow chains or winter tyres? Snow in Italy results in motorists only being allowed to drive their vehicles in affected areas if their set of wheels have been fitted with snow chains or winter tyres. Fail to follow this law and a driver can expect to be slapped with a fine if caught by the authorities. Neither of these items are obligatory when the wintry weather hits across the UK. You can surely still remember the huge problems that the Beast from the East caused when it swept across the UK last year. When blizzard conditions swept the nation at the end of February and into March, traffic came to a halt for several hours on the M80 between Glasgow and Stirling, various parts of the A1 were closed several times, and thousands of drivers were left stranded on roads throughout the UK. According to research conducted by Continental Tyres too, 6,393 more accidents are recorded which involved a car across the UK throughout the winter months than those which happen in the summer. Despite these figures, a poll carried out by Falken tyres found that a quarter of drivers refused to invest in a set of winter tyres due to the cost being too high in their opinion and 19 per cent said they couldn’t be bothered with the hassle of changing their tyres. Should we follow Spain’s lead and always carry an extra pair of prescription glasses? If you need prescription glasses to drive, then it’s the law that you must carry an additional pair of glasses in your vehicle when driving in Spain. Fail to show a spare pair and you could be penalised with a small fine. Research carried out by the Royal National Institute of Blind People (RNIB) has found that more than two million people currently live with sight loss throughout the UK. The RNIB predicts that this number will surpass 2.7 million people by 2030 before hitting close to four million by 2050. It must be acknowledged that measures are enforced by the Driver and Vehicle Licensing Agency (DVLA) in regards to driving and sight loss mind. You can find full details about the parameters here. Furthermore, figures which were released to Optometry Today following a Freedom of Information request revealed that the DVLA had either revoked or refused 42,519 car and motorcycle licences between 2012 and 2017 due to poor vision. During the same period, it was also found that 6,739 lorry and bus drivers had lost their licence as a result of their failing eyesight. In spite of these facts and figures, driving and sight loss throughout the UK is still quite a concerning issue. According to a survey carried out by road safety charity Brake, for instance, a quarter of drivers in the UK haven’t had a vision test in the past two years from when the poll was conducted. What’s more, four per cent of respondents had never had their eyes tested. Should we follow Cyprus’ lead and introduce fines for road rage? Has there ever been a time when you’ve been behind the wheel and made a rude gesture to another motorist using your hands? How about waving a fist in a moment of anger? Do any of these in Cyprus and you could be hit with a large fine. The law is linked to motorists being penalised if they unnecessarily raise a hand from their steering wheel while on the road. It appears that road rage is quite frequent throughout the UK. 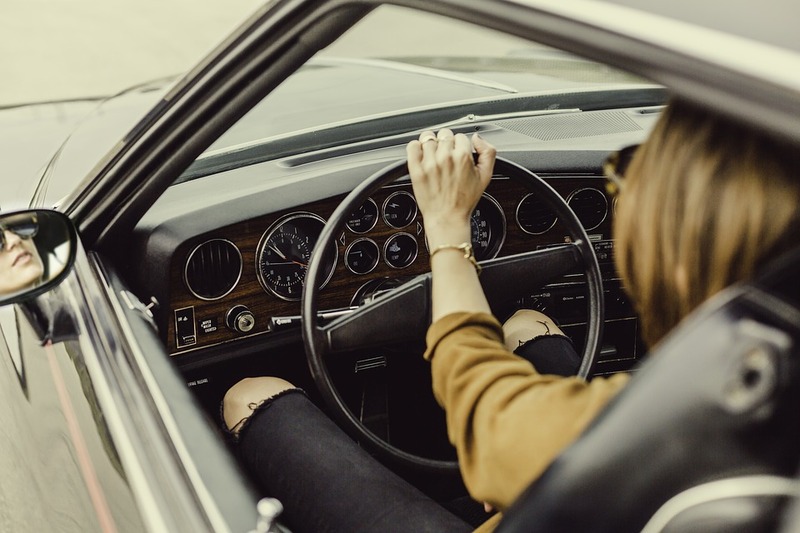 According to a poll carried out by Tyreshopper.co.uk and involving 2,000 UK motorists, 61 per cent of respondents said they had fallen victim to either a verbal or a physical attack during a 12-month period. The same survey also established that one in five motorists were left too scared to get back behind the wheel after the ordeal. Road rage has been covered in depth by the Accident Advice Helpline as well. They recorded that the average road-related bout of anger across the UK will only last for a few seconds but can take over four minutes for the driver to calm down entirely.